The footballer of Eibar was a fan in the Tour of the Basque Country giving all his encouragement to his brother Luis León, who marched leader alone at that time. Curious image that left us the queen stage of the Tour of the Basque Country. 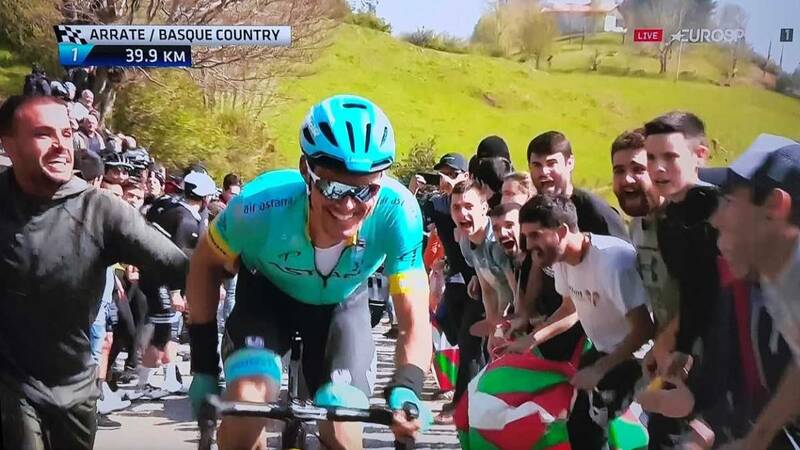 In full rise to Izua, one of the toughest ascents in this edition of the Itzulia (1st category), Eibar footballer Pedro Leon (32 years), taking advantage of the proximity of the race for the city armera, gave all his encouragement and support, even a slight push, to his brother Luis León, from Astana. At that time, 'Luisle' marched alone at the head of the race. Both smiled in one of the images of the season. No is the first time that the player comes to see his brother on the bike. After a calvary of injuries, Pedro León is in his fourth season at Eibar and came to play at Real Madrid, in the 2009-2010. season Luis León, at 35, has a record of up to four stage triumphs in the Tour de France and a Paris-Nice, among other victories.